Flamenco, a vibrant nightlife and beach? In this city you can combine everything, it offers the best of both worlds. On the one hand the pleasure of a modern big city, a cultural metropolis, the passion of flamenco and at the same time the pleasure of the relaxed feeling of a city on the beach. 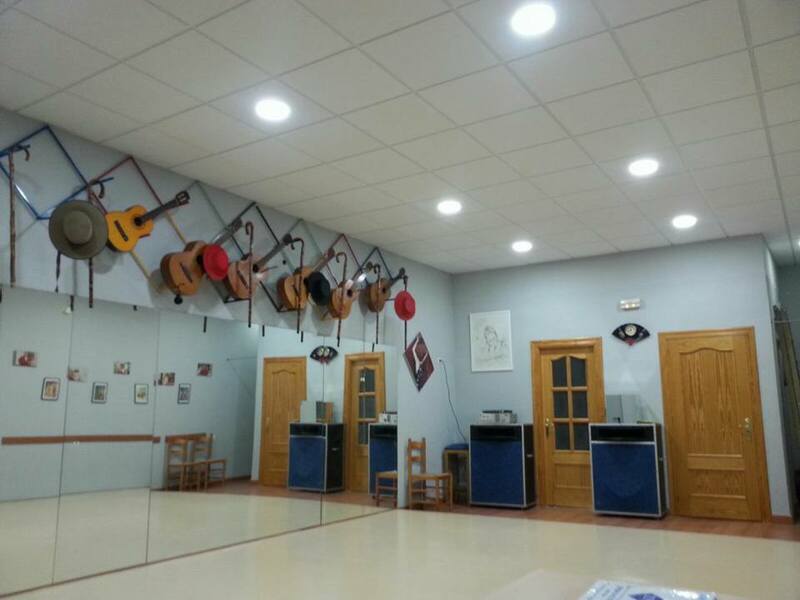 The dance school Irene Gontán Estudio de baile is a place where flamenco dancing plays the leading role. It has been a school founded and run by Irene Gontán since 2008. She does this with a lot of passion and energy. 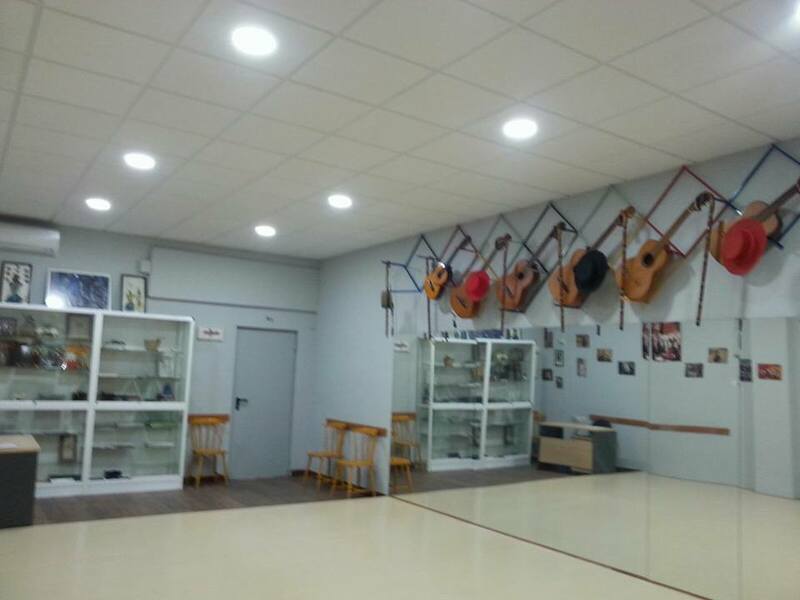 The school is a place to learn, learn to appreciate, understand and enjoy flamenco, both for the Malagueños and for everyone who visits the school. With a clear educational vocation, aimed at all ages and levels, dance studio Irene Gontan is also open to other art forms, especially those related to dance. There are intensive workshops on a regular basis, often with great guest teachers. Tailor-made like we deliver, this dance course can be put together entirely by yourself, as you will receive private lessons. As many hours as you want and with every palo you prefer. As a beginner a great opportunity to learn a lot in a short period and as an experienced dancer the perfect opportunity to develop yourself. But also as a group you can put together a week of dance courses as you wish. 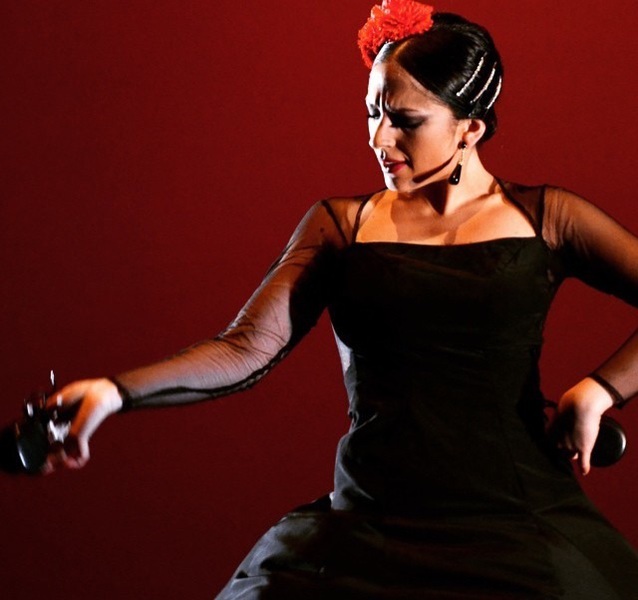 In the lessons you gain knowledge of the technique and choreography, and you study the different forms of Flamenco such as alegrías, bulerías, soleá, dozen, tangos, and seguiriyas. The exercises are appropriate to the level of the students. You work on posture, coordination, the movement of the arms and hands, turning, palmas, technique for the feet, marcajes, etc. 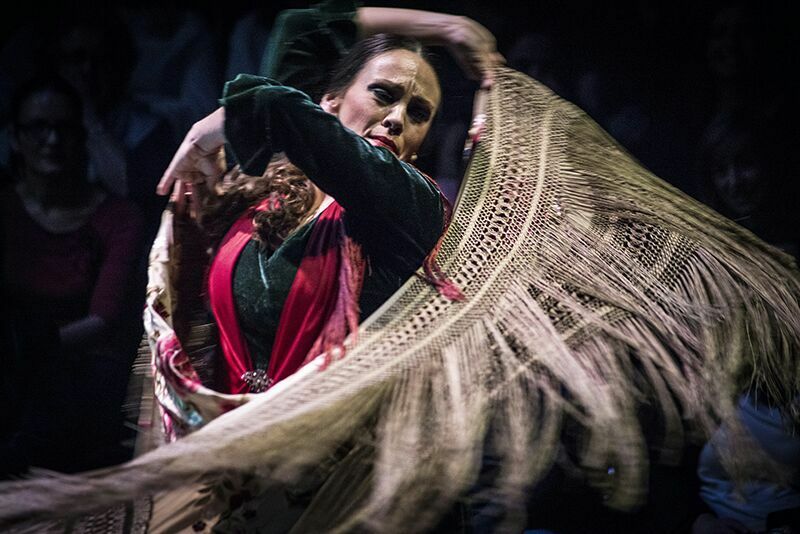 Irene Gontán was born in Málaga in 1976 where she started her training in flamenco dance. First at different schools in Málaga, later in Jerez de la Frontera and Granada and at the same time she is taught by dancers such as Susana Lupiañez “La Lupi”, Pilar Soto, Manolo Marin, Rafael Amargo, Antonio “el pipa”, Juana Amaya, Rafael de Carmen, Farruquito, Paco Mora, Rafael Campallo, el Farru, Marcos Flores, Torombo, Rafael Carmona, Manuel Reyes, Mercedes Ruiz, Rocio Molina, Javier Latorre and La Farruca. In 2002 she started herself with teaching and in 2003 she moved to Switzerland where she worked as a soloist on various shows, Primer Festival International Flamenco de Ginebra and 2004, "Fete de la Musique du Geneve" from 2004 and 2005, "Un regard sur Grenade ”in 2006,“ Primavera flamenca from Chêne-Bourgeries ”in 2007,“ Journée des 5 Continents ”in 2006 and 2007. She develops and directs the show "Mi Tierra" in 2008 in Chambesy-Chemin de Valerie. After which she returns to Málaga and starts the dance studio. 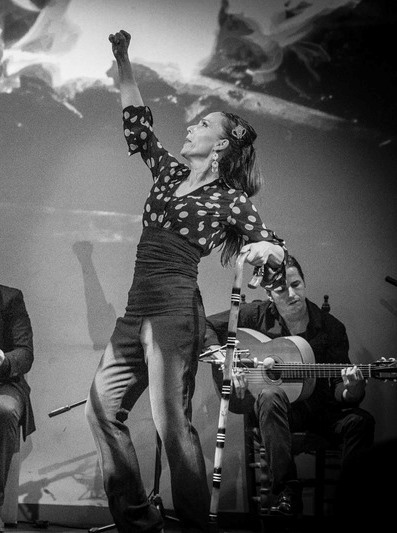 In 2012 she moved to Panama city where she worked as a flamenco teacher and collaborated on numerous productions such as “Flamenco Fusión” (August 2013), the guitarist flamenca “De la raíz de un olivo” and “Noche flamenco-Jazz” led by guitarist Angel Ruiz (October 2013), who works as a guest artist in the performance “Candela Candela” by Anita Loynaz, and in February 2014 she participates in the performance “Collage” in the Teatro Amador and “Jazz and Belen” by Luis Carlos Pérez Quinteto, as well as the performance “Embrujo Flamenco.” She also works as a dancer in Taberna 21 and Taberna “La Malagueña” in the city of Panamá City. In 2015 she returns to Spain where she produces the show "Flamenco a lo largo del tiempo" which played at the cities of Burgos, Valladolid and Panama. She was born in 1985 in Málaga. She has obtained her license at the Conservatorio Superior de Danza and la modalidad de coreografía de Danza Española. She continues her education as a student of the dancer Susana Lupiañez "La Lupi". She works in Tuscany, France and Teatro Villa de Nerja with the work of "Bizet's Carmen" with the Compañia of Susana Lupiañez "La Lupi" and Curro de Maria. From 2008 until today she is part of the Circuito de Peñas Flamencas sponsored by the Federación de Peñas de Málaga and Área de la Juventud del Ayuntamiento de Málaga, by teachers Virginia Gámez, Susana Lupiañez "La Lupi" and Curro de Maria. In the same acts together with other artists from Malaga for the different Peñas Flamencas of Málaga. Within the circuit of the 8 provinces organized by la Federación de Peñas Flamencas she performed in "Peña el Camaron de la Isla" in San Fernando, province of Cadiz and "la Peña Amigos de la Guitarra" Carmona with her own performance. She participated in the Málaga Biennale in 2013 and in 2014 in the Seville Biennale with la Compañia "Peneque" with a piece for Children "El duende flamenco" with productions by Antonio Pino. She participates in the "Malaga Crea 2013" competition with "Distinto es Igual" made and directed by the dancer Vanesa Spelta. They receive a third prize in Performing Arts and Vanesa Spelta receives a mention for the best dancer. 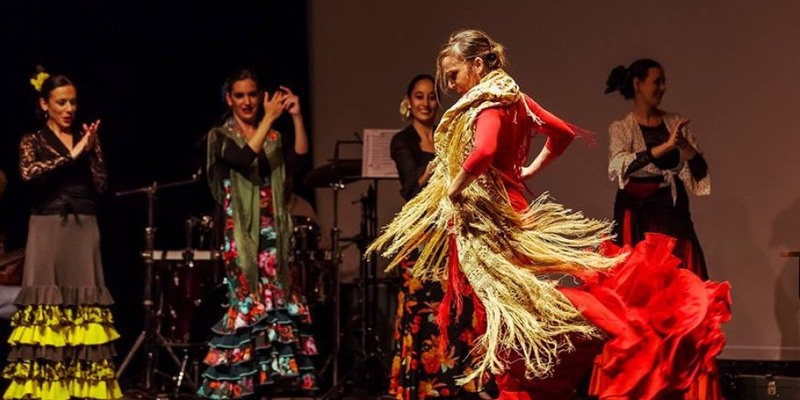 Cristina has done her dance training at the Reina Sofia professional dance conservatory in Granada and is working on a higher degree of choreography and interpretation of Spanish dance at the Superior Dance Conservatory of Málaga. She has worked at the School of Spanish Dance and Flamenco Monica Gomez (Granada), with students aged 3-60. She did the management of the school for three years. she taught Spanish Dance and Flamenco after-school lessons at the Reyes Católicos public school in the province of Granada. She has experience in organizing and setting up festivals and performances, such as the Festival of Music and Dance of Granada in 2014, "La muerte del deseo" led by Concha Jarecki, FEX in 2013, "Ayres" led by Nani Paños "Mudejar" by Miguel Ángel Berna, a piece for the Festival de Música y Danza de Granada in 2015. In addition she has done many courses and masterclasses with Daniel Doña, Nani Paños, Mónica Gómez, Miguel Ángel Corbacho, Esther Jurado, Paloma Gómez, Isabel Bayón, Manolete, La Moneta, Violeta Ruiz, Milagros Menjibar, Antonio "el pipa", Rafaela Carrasco and Oscar Quero.